Discover the simple trick developed by the man who Vijay Singh calls “the best golfer he had ever seen.” And how you can use it to knock double-digits off your score. Go Ahead and Sign Up Below with your name and email. We will drop your first FREE lesson in your inbox. Review it when you have time. It’s worth it! 100% Free – No Credit Card Required! We will NEVER give out your info! Introduces you to one of golf’s greatest ball-strikers who ever lived and his golf swing secrets. 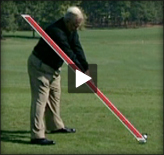 The reason conventional golf swings don’t work and the most simple and natural golf swing ever developed. 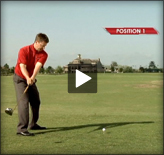 How to make a single change in your golf swing that will improve your game quickly and easily. 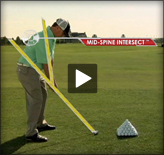 Why trying to fix your slice is a waste of time and what to focus on instead to play better golf. The One BIG mistake golfers make (and how to fix it) that guarantees frustration on the links every round. Get the FREE Videos Now! Moe Norman’s self-taught single plane golf swing was called weird, unorthodox, different, but it was highly efficient, amazingly exact and freakishly accurate. Among his many victories are two Canadian Amateurs, two CPGA Championships and five CPGA Senior Championships along with multiple victories in the Ontario, Manitoba and Saskatchewan Opens. "My Coach, John Redman, saw Moe walking towards us one day in college, and said, ‘Boys, here comes the greatest ball striker who ever lived.’ I thought, ‘Yeah right. Who does he think he’s kidding?’ This guy was dressed in a black turtleneck, long dark pants, and it’s 120 degrees. Well, Moe came up and started ripping drivers right off the ground–dead straight at the 250-yard marker. He probably hit 50 balls and never moved them more than 10 yards either way. It was Unbelievable." "Moe always made being on the range a big event. As a player, that’s one of the things you looked forward to when you came to the Canadian Open each year. All of us used to hang around on Tuesday and Wednesday just waiting for Moe to show up. It was amazing to listen to the knowledge he had about the game. But even more amazing was his ability to strike the ball." "You know what’s most amazing about Moe? This man never won a U.S. Open, never won on the PGA Tour and barely had a pro career outside of Canada. But you’re talking about someone known around the world in every country golf is played. That made Moe a very rich man in my eyes." Copyright ©2014 Moe Norman Golf.